Do you want to reduce maintenance cost? Do you want to improve plant availability and safety? 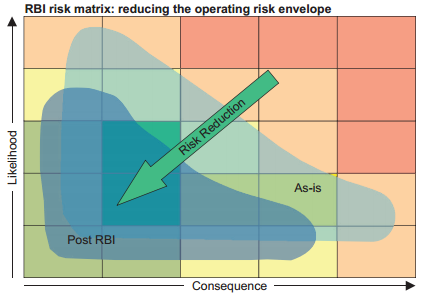 ABB Consulting has developed a Risk Based Inspection +© programme to provide an efficient and streamlined approach to RBI through close teamwork between ABB and the client. Our asset management team has a significant history of operational experience combining a broad range of professional skills, supported by a wealth of expertise with topics such as PSSR (Pressure Systems Safety Regulations, PUWER (Provision and Use of Work Equipment Regulations), and PER (Pressure Equipment Regulations).